Herbal treatments are an important part of a complete, holistic approach to better living and excellent health. Integrative, holistic medicine that includes herbal treatments, various traditional Chinese medicine practices, homeopathy and massage is an unobtrusive, relaxing way to ease aches, pains, and health conditions while promoting better function of the body's major organ systems. Integrated medicine brings together modern alternative healing with ancient, effective techniques such as tuina massage, acupuncture, and Chinese herbal treatments to offer balanced, complete treatment that supports a healthy lifestyle. Holistic medicine strives to treat each person as a whole, instead of simply breaking them down into a variety of diagnostic symptoms and narrow, limiting health issues. Whether you're suffering from pain, aching, headaches, muscular discomfort, or even issues with digestive, reproductive, or respiratory systems, a combination of massage, herbal medicine and other alternative treatments could be just what you need. Choosing alternative treatments is choosing a marriage of knowledge composed of new, scientifically accepted treatments as well as ancient, historically effective medicines that have seen hundreds of generations of use. Techniques such as tuina massage, acupuncture and herbal treatments date as far back as the Han and Shang Dynasties, both of which existed nearly four thousand years ago! There's no reason to keep treating your symptoms with a barrage of course, unhealthy pharmaceuticals and over-the-counter drugs. Discover a new approach to health that assesses your needs as a whole person and not just as a patient with a specific ache or pain. Don't settle for superfluous treatments that ignore the real problems. Get in touch today for a healthier, more balanced life. You're sure to be happy that you did. If you're looking for someone to help you maintain your health and promote a happier, more energetic lifestyle that you'll really love, it's important to find someone with the right experience. We have been practicing and teaching traditional Chinese medicine for more than eighteen years, and we're confident that we have the talent and knowledge that can help you rest easy. Our herbal treatments stay true to authentic Chinese remedies, while seamlessly adapting to modern expectations and society. When you choose us for your future health, you can trust that you're in great hands. Whether you're having headaches, body aches, trouble sleeping, or even respiratory, digestive or reproductive issues, we're sure to be able to help. Don't keep wasting time and money on medicines that only treat your symptoms, instead of resolving the root of the problem. Get in touch with us today to learn more! If you've been experiencing chronic health problems that you've been unable to find suitable solutions for, traditional Chinese medicine could be exactly what you need. Traditional healing methodologies are built on thousands of years of experience, not just a few decades of experimental science. There's no reason to go on using drugs that are hard on your body day after day. If you're hoping for a complete, thorough and sustainable health solution that you can trust, get in touch today. 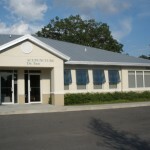 We offer herbal treatments to clients in Tampa, Clearwater, Westchase, Oldsmar, Town 'n' Country, Lutz and Safety Harbor.